How can the Father, the Son, and the Holy Spirit be distinct and yet identical? Prompted by the doctrine of the divine Trinity, this question sparked centuries of lively debate. 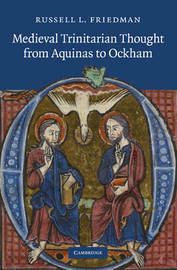 In the current context of renewed interest in Trinitarian theology, Russell L. Friedman provides the first survey of the scholastic discussion of the Trinity in the 100-year period stretching from Thomas Aquinas' earliest works to William Ockham's death. 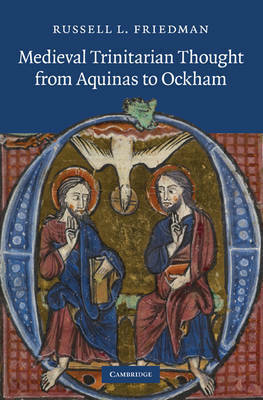 Tracing two central issues - the attempt to explain how the three persons are distinct from each other but identical as God, and the application to the Trinity of a 'psychological model', on which the Son is a mental word or concept, and the Holy Spirit is love - this volume offers a broad overview of Trinitarian thought in the thirteenth and fourteenth centuries, along with focused studies of the Trinitarian ideas of many of the period's most important theologians. Russell L. Friedman is Associate Professor of Philosophy at the Katholieke Universiteit Leuven.